A new version of the aoplib4j is out. The library contains (only one) new aspect for transform a test assertion into a verify (see TransformAssertToVerifyForTests) and some other minor changes (see here). Since I’m a fan of AOP and especially of AspectJ, I participated to the MEAP (Manning Early Access Program) of the AspectJ in action – Second edition book. The review that I will done will be of the MEAP edition, so maybe the final version will be slightly different. So, my conclusion about this book is that it is the bible of AspectJ; it gives a very clear introduction to AOP and a tremendous view of the AspectJ functionalities. The chapter explain what is AOP and how it can be integrated into the today IT systems. Then the author presents the basic ingredients of an AOP language(join point, pointcut, advice and aspect) and how an AOP language can help to improve the modularity of a complex system. The chapter is a very gentle introduction to the AspectJ5 framework containing the classic “Hello world” application.For every basic block of an AOP language enumerated in the first chapter, the equivalent AspectJ5 structure is presented using some simple examples. Beside the traditional AspectJ syntax, the new syntax using the annotations is presented (this new language syntax is called @AspectJ) and a paragraph is dedicated to the integration of AspectJ with the Spring framework. This chapter takes us in the heart of the AspectJ framework by presenting the join point model. The joint points are the parts of a Java class (and or) object that can be intercepted by the framework. The joint points exposed by AspectJ are: methods, constructors, field access (read and write access), exception processing, static initialization of classes and objects and AspectJ advices. For every joint point type the author gives very detailed explanations with many examples . For some join point types, a small comparison is made with the Spring AOP framework. The goal of the dynamic crosscutting is to modify the execution behavior of the program. The construct that is offered by AspectJ for dynamic crosscutting is the advice. This chapter deeply explains the notion of advice. An advice is a structure that contains the code to be executed when a join point is intercepted. The reflection support in AspectJ also is present.The reflection support is represented by a small number of interfaces that provides access to the join point’s static and dynamic information. Member introduction. Introduction of new fields(final and non-final) and methods to any Java class. There is no need to have the source codes of the modified classes for using member introduction. Type hierarchy modifications. With AspectJ you can modify the inheritance hierarchy of existing classes to declare a superclass and interfaces of an existing class. Of course the AspectJ cannot break the rules of the Java language; cannot declare multiple inheritance or cannot declare a class being the parent of an interface. Compile-time errors and warnings. This is similar to the #error and #warning preprocessor directives from the C/C++ world. A typical use of this feature will be to enforce rules, such as prohibiting calls to certain unsupported methods or issuing a warning about such calls. Softening checked exception. Exception softening allows treating checked exceptions thrown by specified pointcuts as unchecked ones and thus eliminated the need to deal wit it. Well, for me this constructs is a real danger and it should never be used. Even the author, raise a warning about overusing this feature because it can lead to masking off some checked exceptions that should be handle in the normal way. singleton (default). A single instance of an aspect is created for the entire application. per object. A new aspect instance will be created when executing a join point of a matching object for the first time. per type Similar as the per object association with the difference that the aspect will be associated to the class instead of objects. The last part of the chapter explains the aspects precedence or how to control the order on which advices sharing the same joint point are executed. For aspect precedence, the AspectJ framework introduced the “precedence” keyword. For the case of advices from the same aspect sharing the same joint point, the lexical order is applied (the advice declared first have the precedence over the second one, etc…). aspects are normal Java classes annotated with @Aspect annotation. advices are Java methods annotated with the following annotations @Around, @After, @AfterReturning, @AfterThrowing, @Before. modifications of type hierarchy is done by annotating Java fields with @DeclareParents annotation. error and warning declarations are done annotating Java fields with @DeclareError and @DeclareWarning annotations. the member introduction; a workaround for this limitation is to use modification of type hierarchy by declaring as parent an interface using the @DeclareParents annotation with the attribute “defaultImpl” containing a class that implements the interface. build-time weaving; the classes and aspects are weaved during the build process using the ajc compiler. The ajc compiler can take as input source files, class files and jar files each of which may contains classes and aspects. load-time weaving (LTW);the aspects are weave into the classes as the classes are loaded by the classloader. The LTW uses another Java5 feature which is Java Virtual Machine Tool Interface (JVMTI). JVMTI allows a JVMTI agent to imtercept the loading of a class. The load-time weaver is a JVMTI agent that use this functionality to weave the classes as the VM loads them. If the @AspectJ syntax is used then the LTW must be used. The load-time weaver needs some additional information to decide which aspects to weave; this information should be in a XML format into the file META-INF/aop.xml (alternatives to aop.xml are also META-INF/aop-ajc.xml or org/aspectj/aop.xml file). Basically, the aop.xml file should contains the list of aspects to weave, the list of aspects to exclude from weaving, the list of the packages of the classes to be modified by the aspects and the list of packages of classes that should not be weaved. This chapter presents more than the integration of AspectJ into Spring framework; the chapter presents the Spring AOP framework. Prior to Spring 2.0 version the only Spring AOP offered “schema-style” AOP support that consists into writing crosscutting information in the XML form (for more details about “schema style” aop support please see this: http://static.springframework.org/spring/docs/1.2.x/reference/aop.html). The “schema style” support is suitable for projects that use version of Spring prior to Spring 2.0 or your project don’t use Java5. Since Spring 2.0, the Spinng AOP is capable to understand the @AspectJ syntax. The Spring AOP is a proxy-based framework, Spring creates proxy classes for each bean that matches the criterias specified in pointcuts. The proxy classes will intercept the calls to the original object. Under the hood, Spring uses dynamic proxies mechanism for intercepting calls to a method of an interface or it uses the CGLIB-proxies if the method to intercept is not part of an interface. method execution-only join points;the proxies can intercept only methods. cannot intercept/advise final methods; since Java prevents overriding final methods, the dynamically created proxies cannot advise final methods. bean-only crosscutting; the proxy creation requires that Spring bean factory create the objects that needs to be advised, so Spring AOP works only on Spring beans. On the other side, Spring AOP (since version 2.5)introduce a new pointcut for selecting Spring beans. The pointcut is bean(<name-pattern>) and the name-pattern follows the AspectJ matching rules for a name pattern with ‘*’ being the only allowed wildcard. aoplib4j version 0.0.3 is out ! the index page contains a link to the javadoc of the latest build. aoplib4j version 0.0.1 is out ! @FieldValidation is a annotation to be put on Java fields for validation. @RetryExecution is an annotation to be put on methods for handle the execution failure. 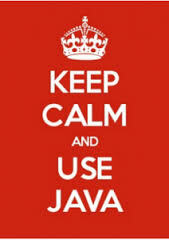 If the annotated method throws a Java exception then it is possible to re-execute the method.